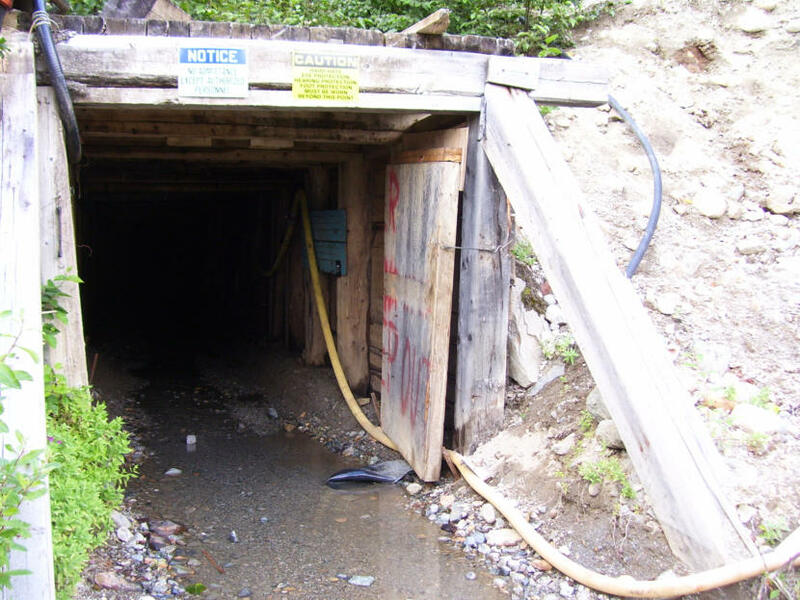 A Canadian mining company wants to reopen a long-shuttered mine about 40 miles east of Juneau. It’s just a few miles from the Alaska border, and conservationists question the Dunleavy administration’s commitment to engaging British Columbia over potential pollution from mines upstream from Alaska waters. New Polaris — once known as Polaris Taku — sits near the confluence of the Taku and Tulsequah rivers a few miles upstream from the border. It’s been closed since the 1950s. Now its owner is looking for partners to reopen it and recently released a rosy economic assessment for the mining project. “By any measure, those economic results are extremely robust and peg this as a very attractive gold project,” said Canarc Resource Corp. CEO Scott Eldridge in Vancouver. The Tulsequah River is in a roadless area with just an airstrip. Any mining operation would need supplies brought upriver. The ore would be processed on site using a patented biological process with bacteria before it’s treated with cyanide. The gold bars would be flown out. Canarc President Garry Biles said waste would be trucked about a mile from the site for storage. Canarc has attempted to reopen the mine since the 1990s. The company blamed earlier failed efforts on difficulty attracting investors. But with gold fetching $1,300 an ounce, the company sees the project paying for itself in less than three years. Critics point out barging has been explored as an option before. The toxic legacy of the shuttered Tulsequah Chief Minehas long been a source of concern for fishing and environmental groups, who have been applying pressure as British Columbia’s mining sector expands on Alaska’s doorstep. Alaska and British Columbia signed a formal agreement in 2015 to cooperate on transboundary mining issues. Alaska’s official web page on transboundary cooperation with British Columbia apparently didn’t survive the political transition. Zimmer and other conservationists worry that momentum has stalled. Lt. Governor Kevin Meyer’s office referred questions to Alaska’s mining regulators. A Bilateral Working Group made up of top B.C. and Alaska officials has met three times since 2016. This year it’s Alaska’s turn to set up the meeting. Officials from both countries confirm both sides are committed. But no date has been set. “So all those conversations are still happening about transboundary because, obviously, transboundary issues remain a high priority,” Moselle said. Meanwhile, progress toward cleaning up the former Tulsequah Chief Mine is moving forward. B.C.’s Ministry of Energy, Mines and Petroleum Resources said in a statement that contract valued at $573,000 Canadian dollars was awarded to a consortium of contractors that plan to visit the site this summer. A full remediation plan is expected in November. Editors’ Note: An earlier version of the audio story had misreported a 2012 study by the Alaska Department of Fish and Game. That study did not find heavy metals consistent with mine waste in sampled fish. The story has been updated.